Automated systems increase productivity and provide early warnings for out of specification events. Temperature Monitoring Systems are not all equal. There are few quality and safety issues more important than those relating to the storage conditions of temperature sensitive pharmaceutical products. Accurate monitoring of these products requires attention to the type of system used. Different types of temperature monitoring systems can influence both the accuracy of the temperature measurement and the ease of use. Depending on the accuracy, number and placement of equipment, as well as the sampling frequency recorded, the resulting temperature readings may or may not accurately reflect actual product temperatures. Responsible health care providers are faced with demonstrating reliable up to date evidence of compliance, in the case of audits and investigations by the South African Pharmacy Council (SAPC) and other stakeholders, with numerous rules relating to Good Pharmacy Practice (GPP). 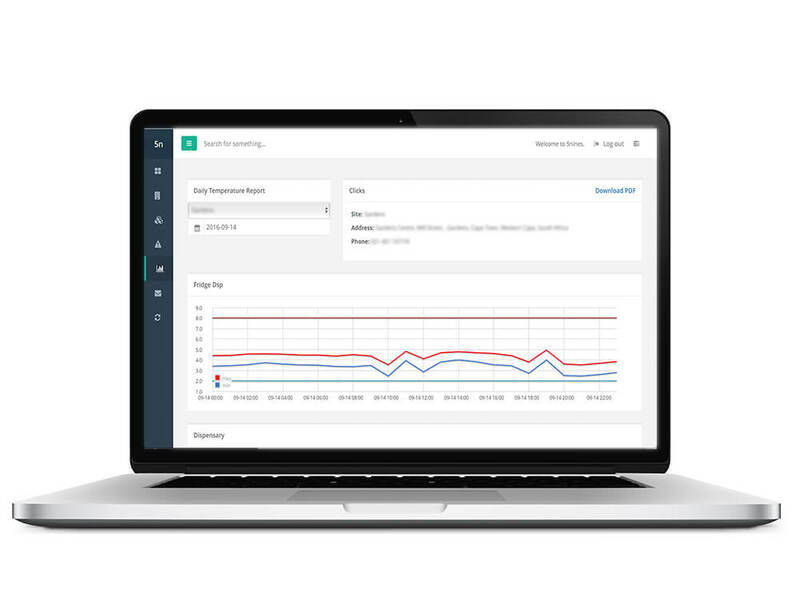 PharmaScout provides easy access to real time and historical temperature data at the click of a button. In addition, historical out of specification events are listed for easy reference. The system provides alarming & notifications designed to effortlessly manage the quality and safety of temperature sensitive pharmaceutical products. Receive notifications and alarms by email or directly to your phone by SMS. Easily acknowledge, neutralise or escalate an event within your network of authorised personnel. System is 3rd party installed and maintained for audit purposes. Accredited, compliant and up-to-date with all requirements. Daily reporting and notifications via email and SMS . to handle all of your temperature compliance requirements? 99.999% (5nines) is where the name originates. It refers to the high availability of services, when the downtime is less than 5.26 minutes per year. This number is part of our DNA. It forms part of our ethos. 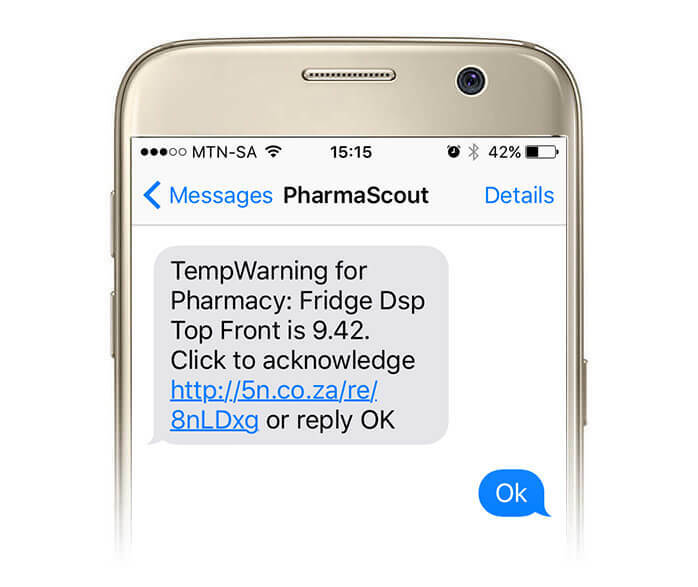 We offer a bespoke M2M temperature monitoring compliance solution for pharmacies and doctors licenced to dispense medication in South Africa.